Alejandro Otero. Coloritmo en Movimiento Número 6, 1957. Wood, Plexiglas, and Polychrome, 45 5/8 x 41 x 4 3/8 in. / 116 x 104 x 11 cm. Born March 7, 1921, in El Manteco, Venezuela, Alejandro Otero was a painter and sculptor who played a leading role in the history of modernist abstraction in his native land. From 1939 to 1945 he studied at the Escuela de Artes Plásticas de Caracas (School of Fine Arts of Caracas). Awarded a scholarship to move to Paris, he lived there between 1945 and 1952. It was in Paris that he began producing some of his most important bodies of work, including Las cafeteras (the Coffeepots), painted between 1946 and 1948, a series that marked his transition from figuration to abstraction. The canvases of this series were exhibited at the Museo de Bellas Artes (Museum of Fine Arts) in Caracas in 1949, an event that roused great controversy, opening the way for the emergence of geometric abstraction in Venezuela. Upon his return to Paris in 1950, Otero founded the group Los Disidentes (The Dissidents, 1950) along with other young Venezuelan expatriate painters interested in abstraction. 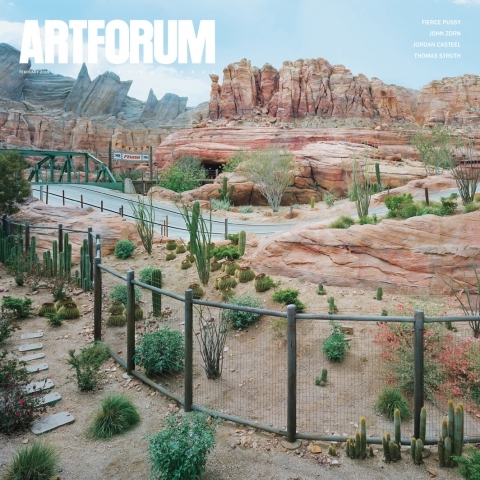 The group published a magazine of the same name that criticized the backwardness of the Escuela de Artes Plasticas, and the museums and salons of Caracas; it also asserted the artists’ identification with Paris and international artistic movements. During the winter of 1951, Otero travelled to the Netherlands to study the work of Piet Mondrian, an artist who would have a significant influence on the development of the Líneas de color sobre fondo blanco (Colored Lines on a White Ground) of 1951 and the Collages ortogonales (Orthogonal Collages) of 1951-52. The weave of multicolored strips of paper in the works of this latter series explored the optical effects of line and color, as well as a dynamic conception of space and of two-dimensional structure. Here, the idea of the module first emerged in Otero’s practice. The spatial emphasis in the Collages ortogonales led Otero to consider the need for a format “different from the two-dimensionality of canvas and paper,” and to imagine possibilities made available by architecture. This new interest drew Otero back to Caracas, where he came into contact with some of the architects involved in the burgeoning modernist movement, and soon after was invited to participate in the project of integrating the visual arts in the architectural program of the Ciudad Universitaria (University City) of the Central University of Venezuela, a project directed and promoted by architect Carlos Raúl Villanueva, and considered the most advanced effort in architecture and urbanism in the country. As part of large group of Venezuelan and foreign artists—including Mateo Manaure, Francisco Narváes, Jesús Rafael Soto, Alexander Calder, Fernand Léger, Jean Arp, and Victor Vasarely—contributing to the project, Otero realized a series of large-scale public works. In 1955 Otero began to produce the Colorhythms, a series of modular paintings of Duco, an industrial lacquer, sprayed onto wood panels, with white and dark parallel bands, and vibrating forms of brilliant colors. In 1956 The Museum of Modern Art in New York acquired Colorhythm 1. Otero represented Venezuela at the Venice Biennale in 1956, and again in 1962 and 1966. In 1958, he was awarded the National Prize for Painting at the Venezuelan Official Salon for Colorhythm 35. He was included in the 1958 Pittsburg Bicentennial International Exhibition of Contemporary Painting and Sculpture at the Carnegie Institute, and in 1959 represented Venezuela in the São Paulo Biennial with the Colorhythms, receiving an honorable mention. Otero moved to Paris a second time in 1960 and lived there until 1964. 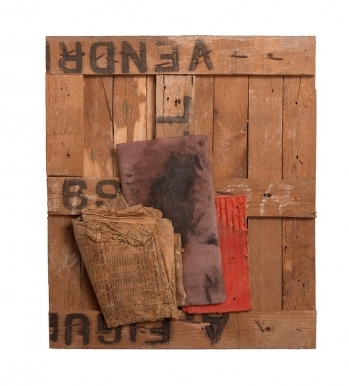 His works underwent changes, and he experimented with collage, assemblage, and objects trouvés. In 1963, he exhibited in the São Paulo Biennial, and, in 1966, Signals Gallery in London presented Otero’s first retrospective outside Venezuela, A Quarter of a Century of the Art of Alejandro Otero: 1940-1965. In the 1960s, Otero began to work on large-scale sculpture and ultimately produced outdoor public sculptures in Latin America, the United States, and Europe. In 1971, Otero received a fellowship from the John Simon Guggenheim Memorial Foundation and was a visiting artist at the Center for Advanced Studies of the Massachusetts Institute of Technology. During his tenure at MIT, he developed structural ideas for his sculptures. Retrospective exhibitions of his work were held at the Michener Galleries, University of Texas at Austin (1975); The Museo de Arte Moderno, Mexico City (1976); and the Museo de Arte Contemporáneo de Caracas (1985). Otero died in Caracas on August 13th, 1990. Biography from Resonant Space: The Colorhythms of Alejandro Otero, Rina Carvajal, 5 Continents Editions, 2014.